Kings XI Punjab. Photo Credit: IPL/BCCI. 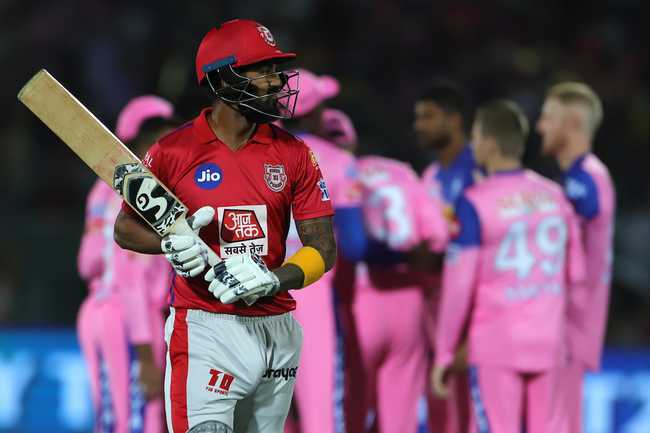 Kings XI Punjab (KXIP) got off to a winning start in the 2019 edition of the Indian Premier League (IPL) beating Rajasthan Royals in the first match. Ravichandran Ashwin & Co are brimming with confidence and will look to continue the winning momentum when they take on Kolkata Knight Riders on March 27 (Wednesday) at the Eden Gardens. Punjab opener Chris Gayle has been in stunning form which will be a massive boost for the side. The middle-order also did well; however, they will want KL Rahul to score some runs. On the bowling front, the new ball bowlers struggled to pick wickets early on which make things tough for them. But Ashwin who mankaded Jos Buttler – which triggered a controversy, changed the course of the game. Since then, Kings XI Punjab staged a wonderful comeback to defend their target. Their main aim will now be to strive for consistency -important to win this kind of marathon leagues. However, they are unlikely to make any change to their winning combination that took on the Rajasthan Royals. Chris Gayle has been in tremendous form since he announced his retirement from ODI cricket. The big Jamaican continued his good form in the IPL as he played clean 79 runs in the first outing. Kings XI will want the veteran southpaw to continue hitting the ball throughout the tournament. KL Rahul failed to get going with the bat and will have to return to form quickly if he wants to strengthen his World Cup chances. Rahul along with Gayle is a hot opening pair and if Rahul starts hitting the ball as he does there is no stopping Kings XI Punjab. Mayank Agarwal got off to a good start scoring 22 runs but holed out to Dhawal Kulkarni in an attempt to clear the field. However, the Karnataka batsman has been in stupendous form and will look to continue the good run. Mandeep Singh had a very little part to play during Kings XI Punjab season opener. However, he has a lot of experience behind his back and will look to score runs for his side whenever he gets an opportunity. Sarfaraz Khan played a crucial knock of 46 runs off just 29 deliveries giving good support to Chris Gayle. Khan, a talented batsman will look to use this confidence and score more runs for his franchise. Nicholas Pooran, who made his IPL debut will look to make more contribution for his side in the upcoming matches. He is a clean hitter and can clear any grounds making him a vital cog in that side. Sam Curran had an expensive start to his IPL career. But his two wickets – Steven Smith and Sanju Samson changed the course of the game. Meanwhile, the young all-rounder will look to improve when Kings XI Punjab face Kolkata Knight Riders. Ravichandran Ashwin bowled a dream of a delivery to dismiss his counterpart, Ajinkya Rahane. He returned with figures of one for 20 in his full quota but triggered controversy when he mankaded Jos Buttler. This attracted a wideranging criticism but Ashwin will look to keep it away from his side and continue leading his side from the front. Mohammed Shami started on an expensive note going for a few runs. However, he came back well at the end to bowl some tight overs to shift the momentum of the game. Meanwhile, the Bengal pacer needs to start picking up wickets with the new ball and contribute to the team’s success. Mujeeb ur Rahman has set a standard for himself and lived up to his expectation. His double-wicket over was critical in shifting the game to Kings XI Punjab’s favour. The franchise will depend on the Afghanistan cricketer to contain the top-notch Kolkata batting. Ankit Rajpoot picked up two crucial wickets during Punjab’s win over Rajasthan Royals. The Indian pacer will look to keep up the good work when his side takes on the Kolkata Knight Riders on Wednesday.